Who’d have thought there was a right and wrong way to have Afternoon Tea, that quintessentially English meal? 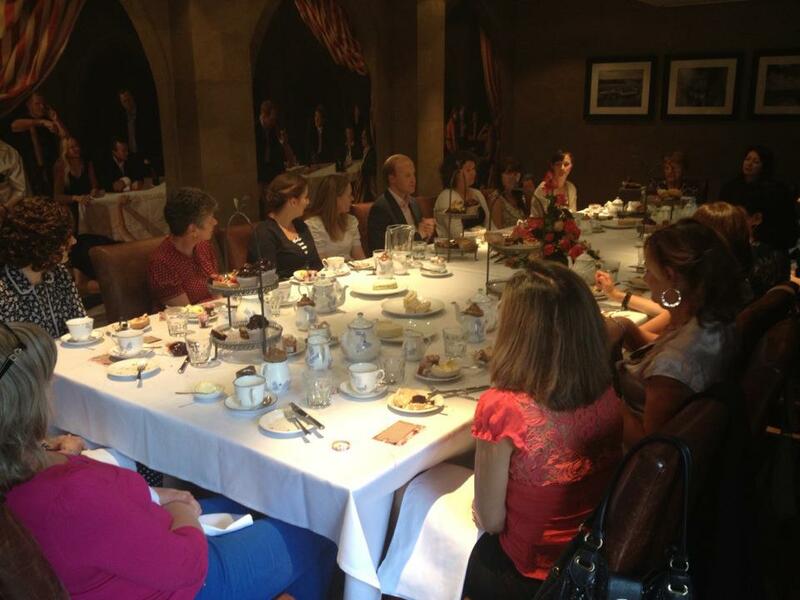 Well, on Saturday 15th September 2012, a sold out table of 20 lovely Secluded Tea Party guests were told what’s what by the UK’s leading etiquette expert, William Hanson. With the third series of period-drama Downton Abbey now back on our screens (and who isn’t engrossed in the wedding plans of Lady Mary & Matthew Crawley?! ), the nation is once again gripped with knowing the right way to behave. 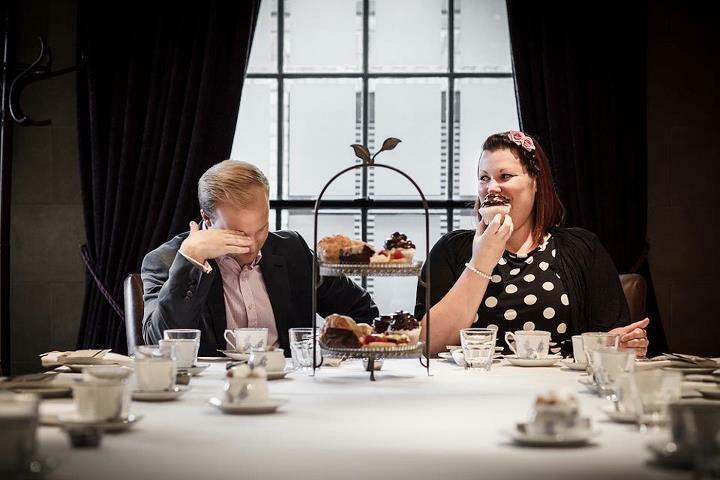 Queue a two hour event, exclusive to The Secluded Tea Party, a “finishing school of afternoon tea” if you like, co-hosted by myself and William at the perfectly positioned Hotel Du Vin in the very centre of Cambridge. We attracted a great selection of guests, who traveled from as far as London, Leeds, Lincoln and Norfolk, as well as some local faces too. 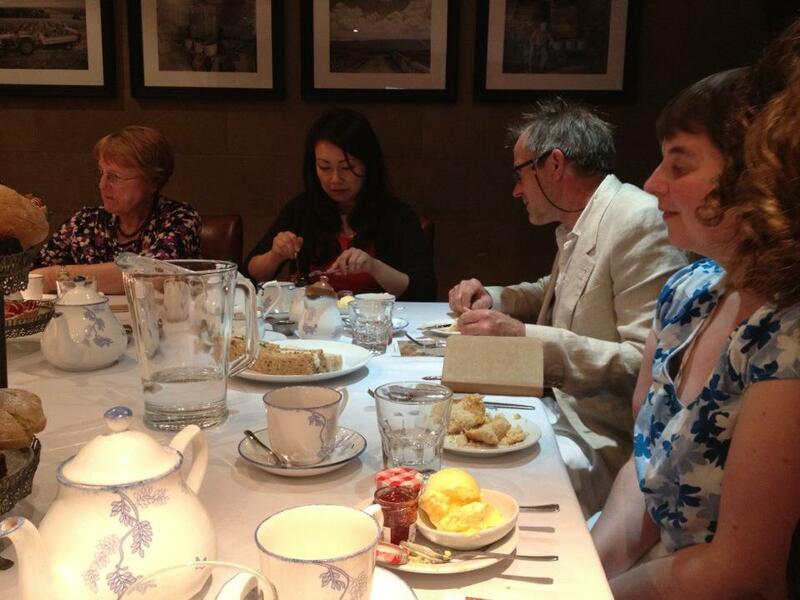 I just cannot thank them all enough for being such great sports and coming dressed in their Sunday best… even I wore a new dress and heels myself, purchased especially for this formal gathering over afternoon tea. We met a couple of hours before the event to enjoy a leisurely lunch and get chatting about our etiquette lesson plans and it felt like we had known each other for years, I loved every moment of his company, as did my guests in the feedback they had provided me afterwards. William has a way of making you feel welcome and relaxed, working the room in such a way that even my hostess skills felt more relaxed and confident than they usually do, it was a novelty to have a co-host, in a very good way. We used the first ten minutes of the event to greet our guests in the Library and get to know everybody and their names, as well as allowing them to network and get to know each other before we moved into the adjacent room, which had been set up as one long table for us all to enjoy the next couple of hours more than comfortably. 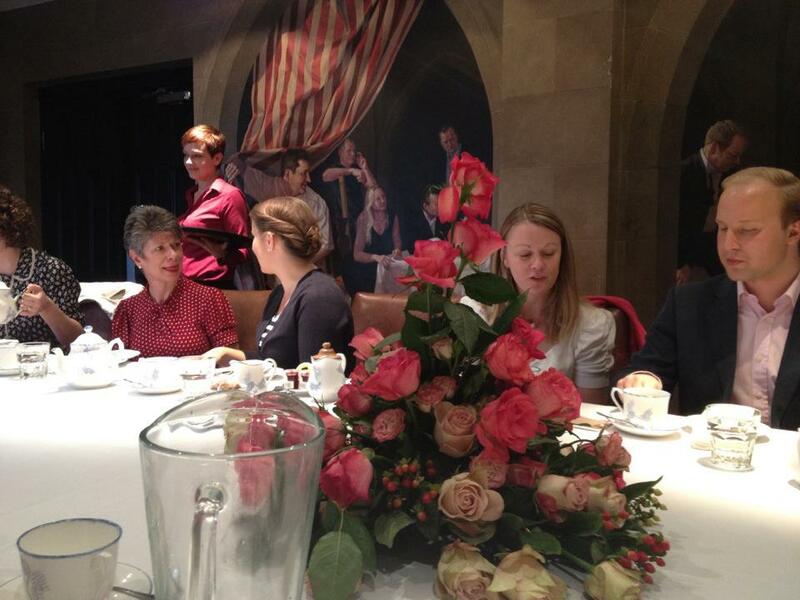 The events team had made us proud with the stunning flower arrangement in the middle of the table and the lovely white china set up ready to use as the lesson began. Whilst William and I welcomed our guests and explained a little about the history of tea and how afternoon tea began (The Duchess of Bedford gave our guests some giggles and knowledge as we chatted about how she would have taken tea), we were served 3 types of tea by our waitresses. We had chosen a Chinese Rose Petal (my personal favourite), the traditional “Royal Blend” (which is a strong blend of Assam & Earl Grey) and the good old English Breakfast tea for the less decisive or experimental, just to ensure that there was a nice choice to match the delicious treats we were eating. 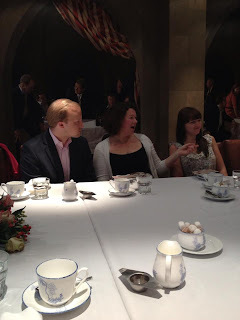 Our guests were taught to converse traditionally around the table, alternating your conversation with the person on your left first of all, followed by the person on your right at the subtle *Signal* of your host or hostess (usually a little cough behind ones hand!) to ensure that neither neighbor gets left out in the discussions around the table. 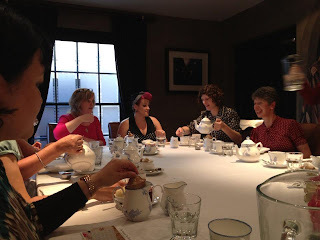 The man would traditionally serve the tea to his female diners, however as the men at this particular event were a little outnumbered, we giggled and played along with Williams’ rules as some of us pretended to be men for the lesson – It was great fun! 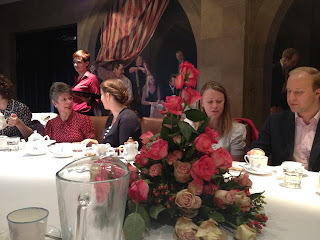 We were also taught that when a lady excuses herself from the table (her fellow guests don’t need to know where she is going ; ) she should leave her napkin on her chair if intending to return and the gentlemen should stand until she has left the table. This very British tradition is forgotten and seems so formal nowadays, but this was all part of the lesson, teaching the etiquette of the British “upper class” afternoon tea guest. 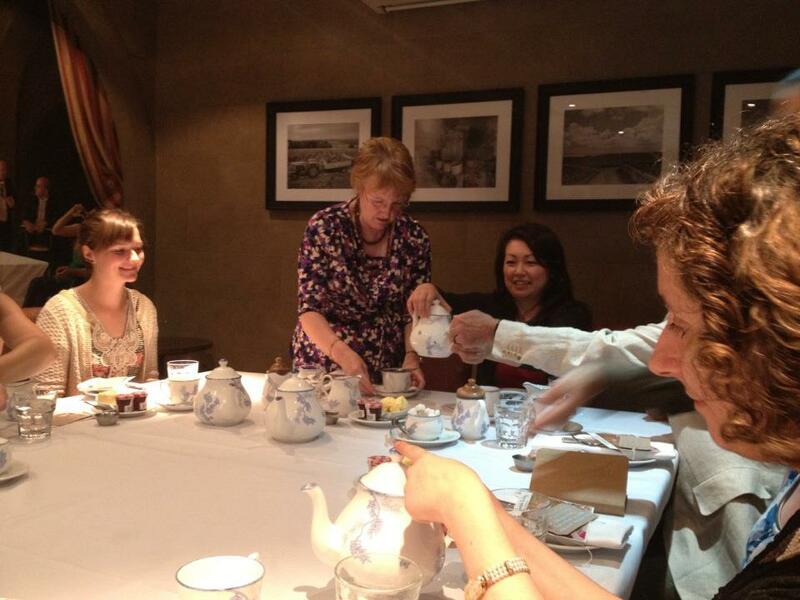 Guests also learnt how to stir their teacup correctly (yes, there is a proper way!) 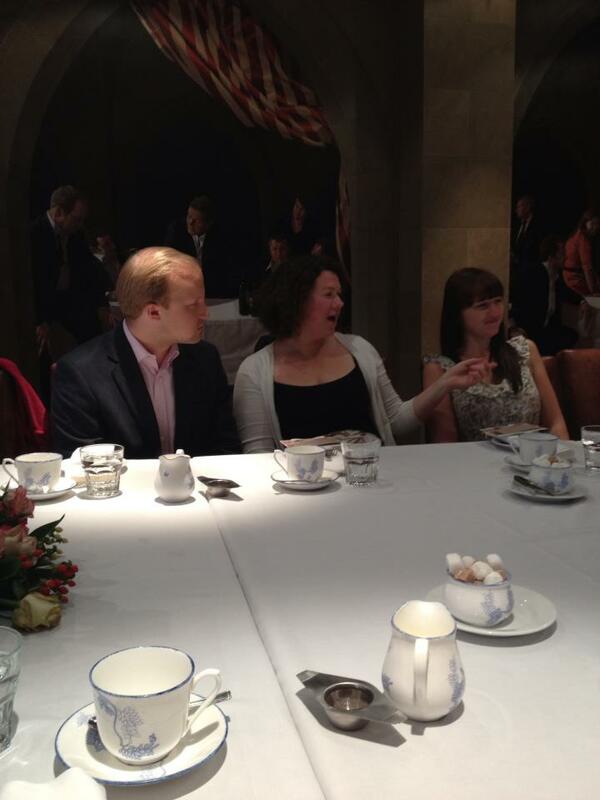 There’s not only etiquette with the tea, but also with the food. Did you know you should never cut a scone with a knife? We enjoyed an afternoon tier (on beautifully ornate metal tiers) of finger sandwiches (including salmon, egg mayonnaise & Cress, Ham & Mustard and of course the humble cucumber sandwich. We tucked into huge plain scones, served warm with strawberry jam and clotted cream, chocolate marshmallow cupcakes, fruit tea loaf and wonderfully light raspberry & white chocolate tartlets. William coached us through every single course, advising on how best to use our cutlery and how to eat politely whilst still making the effort to chat to your fellow guests throughout. There was no silence, the afternoon flowed perfectly and we truly didn’t want it to end. I encouraged guests to share a few tips and recipes around the table, with William leading the good old scone debate (jam, then cream or cream, then jam?) 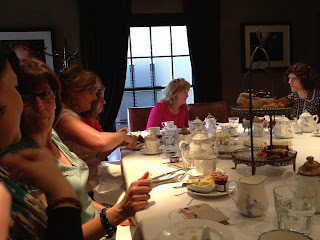 and asking for the bakers around the table to share their method of scone making, which made for a very interesting discussion in itself, with varying answers from different parts of the country. William also reminded us that elbows should not be present at the table, no matter how our parents or grandparents acted during our younger years. He had a little saying that tickled us all after a little conversation about this topic and it will stick with me for always after hearing it… “All joints on the table must be carved”. Perhaps it’s the zombie lover in me, but I think that is such a fantastic saying and will remind me to remove my own elbows should I find myself leaning on them at such occasions! Also enjoyed on the day, was a photo shoot conducted by my wonderful friends Lina & Tom of Liquid Photo, who came along prior to the event to take some photos of William and myself. We went with some very serious photos outside in the little rose garden at the rear of the hotel, however we did have a huge amount of fun messing about with a few cakes and taking some cheeky pictures as well. William, if he didn’t know by this point, would learn that I do like to mess about with my food and I am not in fact the lady that perhaps I should be! The reason we had these photos taken together is to ensure that we have some good photos to use for promotional purposes in our next events, of which we have started to plan for 2013. We are very excited to announce that we are organising similar events for next year. 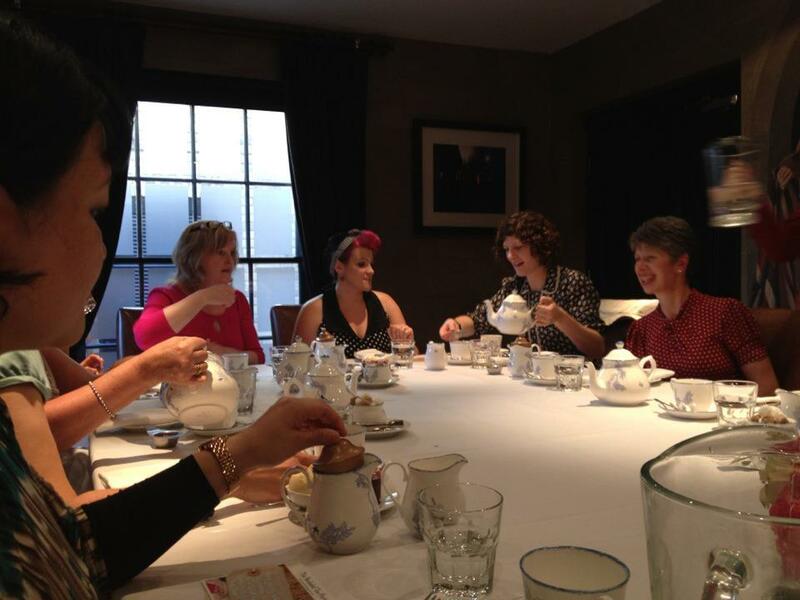 We are returning to Hotel Du Vin in Cambridge on Saturday 6th April, just after our London version of the class, which will take place in sophisticated Knightsbridge on Saturday 23rd March. Tickets are priced £50 for Cambridge, and £70 for London. 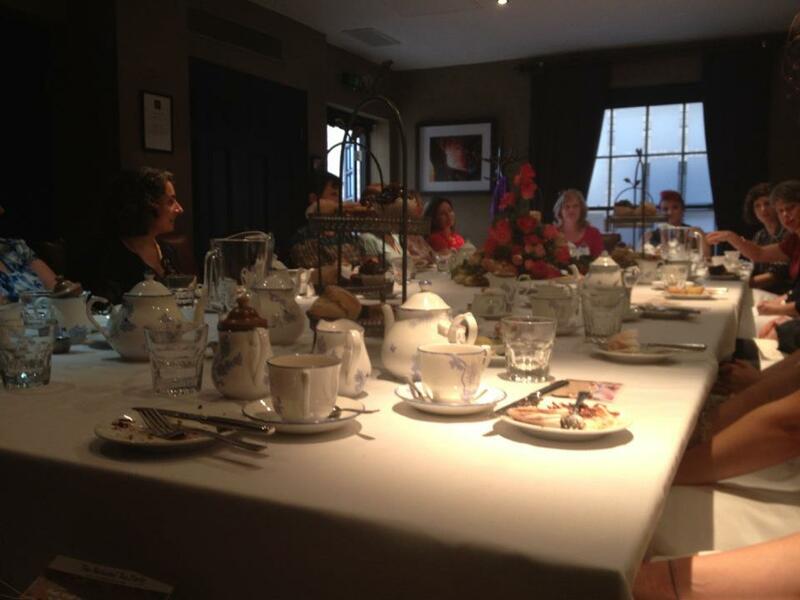 delicious afternoon tea, we just hope that you can join us. Absolutely fabulous! What a triumph for you both. Many congratulations and continued success. oh, how fabulous; I’d love to have been there.